Posted January 24, 2015 by William Martin & filed under Headlines. 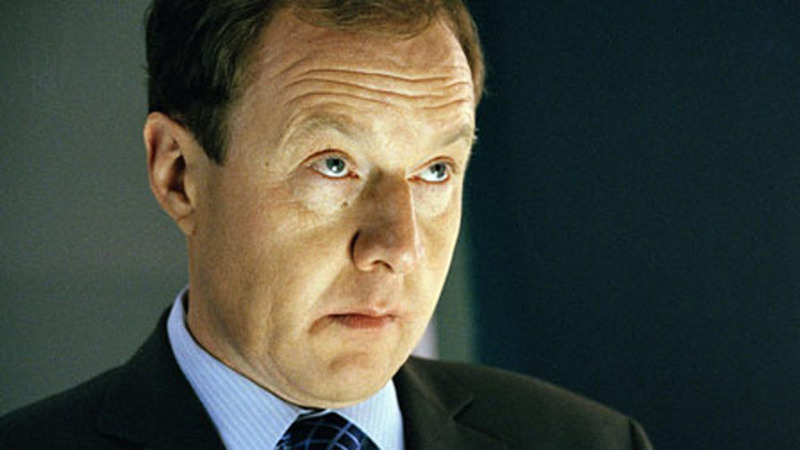 Another classic Spooks character will appear in the upcoming movie, it has been confirmed. Spooks: The Greater Good arrives in UK cinemas on 8 May 2015. The online CV of actor Hugh Simon reveals that he will reprise his role as MI5 analyist Malcolm Wynn-Jones in the big screen spin-off of BBC One’s long-running spy drama. Malcolm was a regular character from the show’s first episode in 2002 until 2009, returning briefly in 2010’s Season 9. Spooks stalwart Peter Firth, who appeared in every episode of the TV series, is also returning in the movie as MI5 chief Harry Pearce. He is joined by Kit Harington (Game of Thrones), Tuppence Middleton (Sinbad), Elyes Gabel (World War Z), Eleanor Matsuura (Utopia) and Jennifer Ehle (Pride and Prejudice). Spooks: The Greater Good is written by Jonathan Brackley and Sam Vincent and sees terrorist Adam Qasim escape from MI5 custody during a handover to the head of counter-terrorism. When Harry Pearce vanishes, his protégé Will Crombie (Harington) must find out what happened as the clock ticks down to an attack on London.